Does your toilet take forever to fill up, your shower head barely put out any water, or your washing machine take days to fill up? Low water pressure can cause a lot of frustration on a daily basis. If you are troubled by low water pressure in the home there are some things you can do. Low water pressure can be caused by a number of issues in the home’s plumbing. These issues can sometimes be resolved fairly easily, but first, you will have to get down to the bottom of them. The first thing to do is to check is to check if the ​low water pressure is affecting the whole house or if it is isolated to one fixture. If it is isolated then focus on working on the affected fixture. 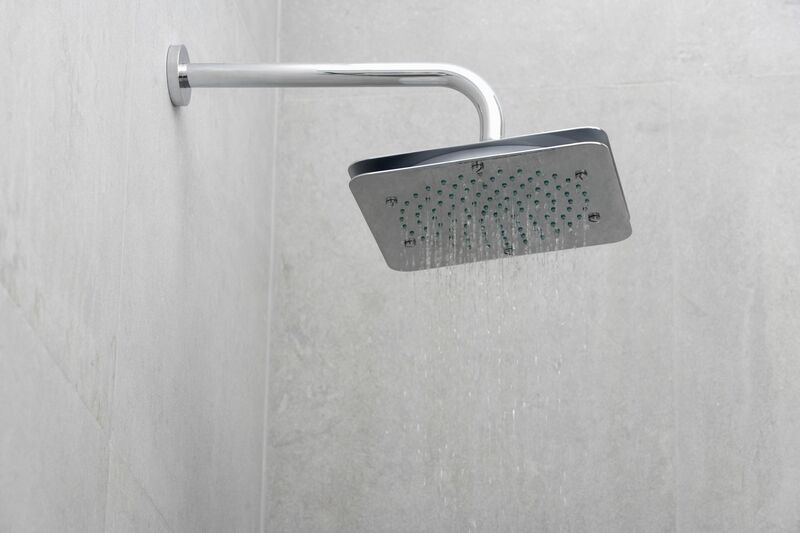 If a shower head has low pressure but there is plenty of water coming out the tub spout or in other parts of the house then it may just be that the shower head is clogged with hard water deposits. This can be resolved by replacing or cleaning the shower head. Unscrew the shower head and turn on the valve and divert it to the shower head to flush out any debris. If you have good pressure with the shower head off then you know the problem is with the shower head and it needs to be cleaned or replaced. If the low water pressure is affecting the bathroom faucet then a good start is to check if the aerator is causing the problem. Remove the aerator and test the faucet with the aerator off to see if it has good pressure, if it does then you will need to clean or replace the aerator. If changing or cleaning the aerator does not fix the problem then the problem could be in the faucet itself or the flex lines or angle stops. To narrow down the cause shut off the water at the angle stops, disconnect the flex lines from the faucet, and point them into a bucket. Turn the water on to test the pressure coming into the faucet. This would determine if the problem is the faucet or further down the line like at the angle stop itself. Slow filling toilets are a common issue and many times just replacing the fill valve on the toilet will fix this issue. To check if the problem is at the fill valve shut off the water to the toilet by turning off the angle stop. Disconnect the upper part of the flex line at the toilet and point it into a bucket and then turn it on to check the water pressure going into the fill valve. If the pressure if good then either disconnect and clean the fill valve or replace it (most of the time replacing it is the best option). Kitchen faucets will have aerators at the end of the spout in most cases and they can be unscrewed and cleaned if you are having low water pressure at the kitchen faucet. If the faucet is a wand type, a pullout, or a pulldown spout then, there will be a screen where the wand head attaches. Cleaning the screen often improves water pressure. Just as with the bathroom faucet, if cleaning the aerator or wand head doesn’t resolve the issue you can check the source of the water pressure problem by disconnecting the flex lines. If the washing machine is filling slowly then you can clean hard water off of the screens in the washing machine and the water supply hoses. To do this shut off the water valve to the washing machine and disconnect the washing machine hoses from the machine. There will be screens on the hoses and in the washing machine where the hoses go in. Cleaning these screens will improve water flow into the machine. Before putting the hoses back on point them into a bucket and flush water through the hoses to make sure you're getting good pressure from this point. If not disconnect the hoses at the other end where there is sometimes another screen to clean.